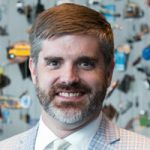 Home › News › Association News › Get Out the Vote—And Break the Beard! Get Out the Vote—And Break the Beard! The ALA/AASL Elections are open now through April 4. As a result, today, I am issuing a challenge to all AASL members: if AASL has a higher percentage of voter turnout than all the other ALA divisions, I will shave my beard at ALA Annual in New Orleans! If you have already voted, then it is time to email, call, text, or smoke signal 3-5 of members of your personal learning network to remind them to vote as well. By taking a couple of minutes to vote in the ALA and AASL elections, you continue the progress of helping the larger library profession understand the nuanced and powerful contributions school librarians make to the education landscape. 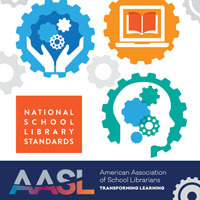 The work we do in school libraries builds the foundation for lifelong library use—ALA President Jim Neal sees that, and I know you see it, too. Please visit the AASL 2018 elections page for more information on the candidates in the AASL elections and for a list of AASL candidates running for ALA Council. 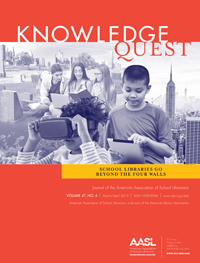 You can also read blog posts on each AASL candidate position on the Knowledge Quest blog. Voting in the AASL elections shows those volunteers who are bold and generous enough to share their time with our national organization that you appreciate and support their service. By voting in the ALA/AASL elections, especially for those positions that serve the ALA, you help to amplify school library voices throughout our profession and pave the way for stronger partnerships with our fellow professionals. 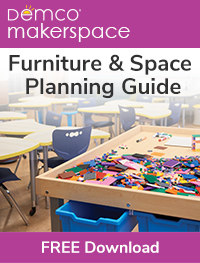 An increased school library presence on ALA Council is vital to ensuring our viewpoints are considered and championed on every issue that comes to Council for discussion. We have wonderful Councilors who are AASL members right now, and I have heard from so many of them that they are ready to carry the school library banner with new Council colleagues who are also AASL members. Your vote matters! I believe AASL has untapped potential in our partnerships across ALA—it is my presidential initiative and it is a part of AASL’s strategic plan. Let’s turn out the vote like never before to be sure that all new ALA partnerships have school libraries in the center of things…right where we belong!